What’s Sen. Byrd up to on mountaintop removal? June 16, 2009 by Ken Ward Jr.
My buddy, Gazette investigative reporter Paul J. Nyden, has more details on the news Coal Tattoo reported this morning, about Sen. Robert C. Byrd, D-W.Va., sending staffers on a fact-finding mission to look into the impacts of mountaintop removal coal mining. I think that this is an incredibly interesting piece of news, and it could be a game-changing development. Most sources I’ve talked to on both sides don’t think anything significant will come of it … but I’m going to wait and see. Sen. Byrd, as a grandfather, I write to you: If our grandchildren are going to have any jobs and future at all in West Virginia, we must get beyond the stranglehold of mountaintop removal coal operations and find a way to bring new jobs and life to our mountain communities. This could be your greatest legacy, among many, Sen. Byrd. Just yesterday, I was telling some folks there was probably no West Virginia political figure but Senator Byrd who could — or would be willing to take the heat for — pushing for some real changes in the way mountaintop removal is regulated, or at least trying to navigate our state and region toward some middle ground on this divisive issue, and in the process pave the way for some sort of green revolution that would give our state an economic future that is more diverse. What? A politician from West Virginia actually wanting to go and see the impactsÂ of mountaintop removal — and using the word flooding in the same sentence? And there was one word that was missing from Byrd’s 198-word statement: Jobs. When is the last time a political leader from Appalachia said anything about coal and mountaintop removal without focusing almost exclusively on jobs? That’s not to say Senator Byrd doesn’t care about jobs for West Virginians. Nobody is crazy enough — not even me –Â to say that isn’t at the top of his list of priorities.Â But Sen. Byrd is nothing if not his own man, and he’s one political leader here in the coalfields that the coal industry can’t pressure into doing something he doesn’t want to do. “Let me assure you: My amendment is not the toxic monster that it is purported to be,” Byrd said. “But you certainly wouldn’t know that from all the frothing at the mouth by people who either have no idea what they are talking about, or who, for some reason, are deliberately trying to mislead.” Byrd attacked environmentalists, ridiculing them for carrying banners and signs. He noted that protesters have shown up recently at several of his own re-election campaign events. “These head-in-the-cloud individuals peddle dreams of an idyllic life among old-growth trees, but they seem ignorant of the fact that, without the mines, jobs will disappear, tables will go bare, schools will not have the revenue to teach our children, towns will not have the income to provide even basic services,” Byrd said. Â Another small, coal-mining town in West Virginia went into deep mourning, and again an entire State wept with them. Once again, the national media rushed in to report the disaster to the world. Once again editorials filled newspapers across the country decrying the dangers of mining coal, denouncing the callousness of coal companies, and questioning the commitment of state and federal officials to mine safety. As a child of the Appalachian coalfields, as the son of a West Virginia coal miner, as a U.S. Senator representing one of the most important coal producing states in the Nation, let me say, Iâ€™ve seen it all before. First the disaster. Then the weeping. Then the outrage. And we are all too familiar with what comes next! After a few weeks, when the cameras are gone, when the ink on the editorials has dried, everything returns to business as usual. The health and safety of Americaâ€™s coal miners, the men and women upon whom the Nation depends so much, is once again forgotten until the next explosion. But, not this time. Flooding is the biggest issue in West Virginia — a fatal threat, in various ways, to every family and business in the state. Influences from coal mining and other activities to flooding need to be well understood to assure those impacts don’t make it worse. 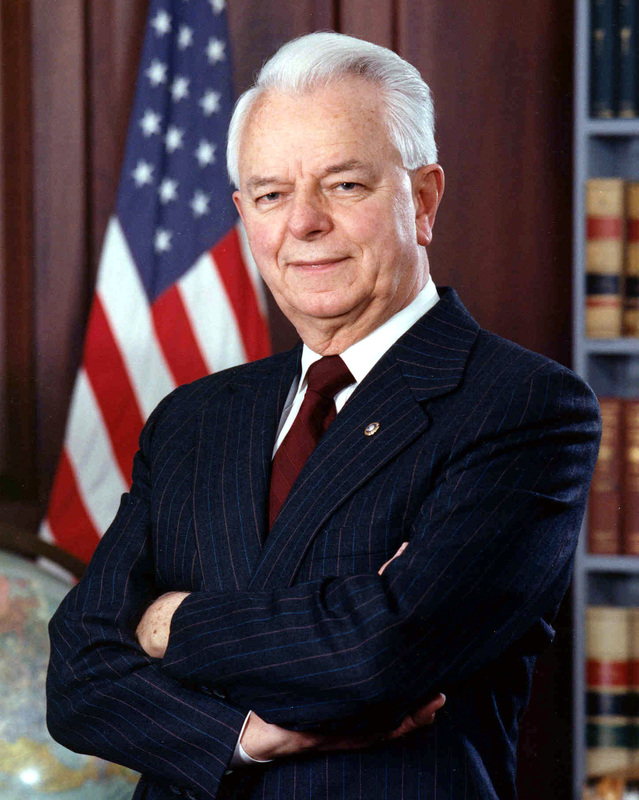 Sen. Byrd’s greatest interest has always been the citizens of WVa (not King Coal). 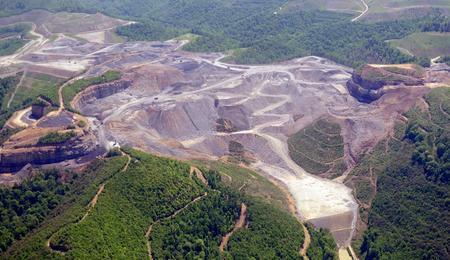 Perhaps Sen. Byrd is realizing Mountaintop Removal is bad for the WVa economy. Don’t project your hopes and dreams of a West Virgina free of coal mining onto a politician who has backed coal for the last 50 years. If you do you will be disapointed. Scott…the good senator is going to close out his career soon. May he soon see the light and undo some of the damage that has been done in the name of very few strip mining jobs. No matter how many roads, buildings and bridges have his name on them, Sen. Byrd’s lasting legacy will be the flattened mountain wastelands of southern West Virginia – a monument to Sen. Byrd that will last for hundreds of thousands of years. The people of the future will look back at our generation with amazement and wonder at how we could have been so stupid. How sad that such a great man as Sen. Byrd could have been so wrong and so blind. First, it’s unfortunate that — at a time when Sen. Byrd and his staff may be trying to do something positive — that you decide to just throw out an attack. I’m glad to see that others in the environmental community were trying to instead welcome this development as potential help to your cause. On the video, I tried it in both IE and Firefox, and it works fine. You may need to update your browser. Well I have to admit that I always am overly optimistic about this kind of stuff. Heck I thought Charlotte Pritt would win going away in ’92. I even thought there was no way WV voters could possibly go republican this past election, given the history of the past 8 years. But all that being said, I had been thinking the same as Ken that maybe Sen Byrd might be wanting to be remembered for saving southern WV from destruction. However I figure the odds are more in line with Dave’s position/comment. Politicians, when they’re looking to stay in office, support one thing and then, when it’s time to exit with an eye to their legacy in history, try to undo the damage. Still, any help that prevents future destruction would be a welcome outcome. The mistakes of the past can’t be undone, nor blamed on one individual, but maybe the future could be safer and brighter.